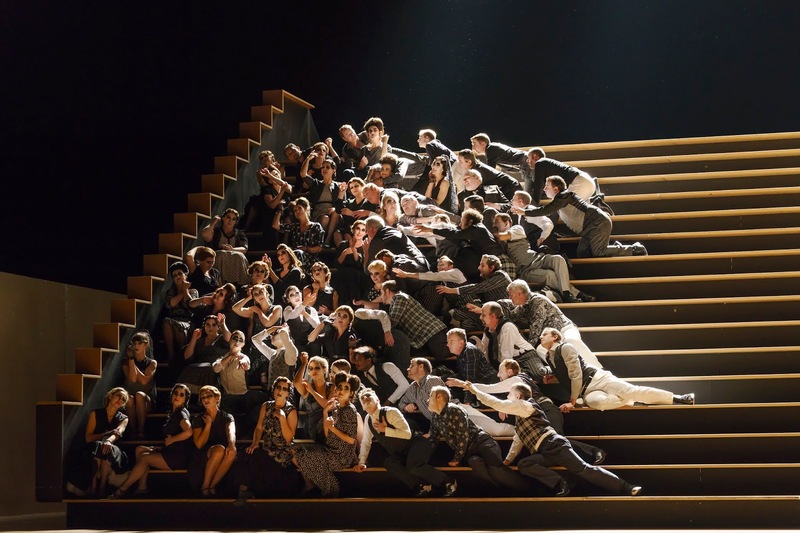 Twisting Carmen on it's head, the Royal Opera House's revival of Barrie Kosky's production brings modernity, a narrator, simplicity and vibrance together to create a fresh and mostly effective production. Taking the place of the original dialogue/recitative is new text performed by pre-recorded narrator, Claude De Demo who sounds sultry and gives vibes of Carmen herself. Whilst this narration does bring a flow and more typically theatrical feeling to the show, overall Carmen does feel somewhat un-cohesive as it tries to be a bit too clever for it's own good. Katrin Lea Tag's set comprises of a vast stair case which covers the stage and prompts us to use our imaginations to see the tobacco factory and other settings. The simplicity effectively highlights the performances and provides a great backdrop for more dramatic and colourful moments of action; although at times it seems in the way of the flow of the show. There are times where the performers are legging it up the deep steps, that it feels there would be much less struggle and more payoff if they were not the main entrance, exit and focal point throughout the entire production. Performance wise, this is an incredibly strong production. Stepping in last minute as Carmen, Gaëlle Arquez is astounding. From the various sleek costume changes from a pink matador, to a gorilla, to a suit and various dresses; to the elegant way she crosses the stage and of course her powerful but vulnerable vocals, Arquez demands to be seen in the title role. Brian Jagde brings an equally commanding passion to Don José but at times lacks characterisation that would bring a more menacing and psychologically commanding aspect to the character. With his booming bass and charismatic performance Alexander Vinogradov as Escamillo makes it clear why Carmen would choose him over Don José. Otto Pichler's choreography emphasises the Cabaret theme which runs throughout the show, with six dancers who work hard to showcase various dance styles. There are moments when the choreography really works, creating a frantic, popping energy. 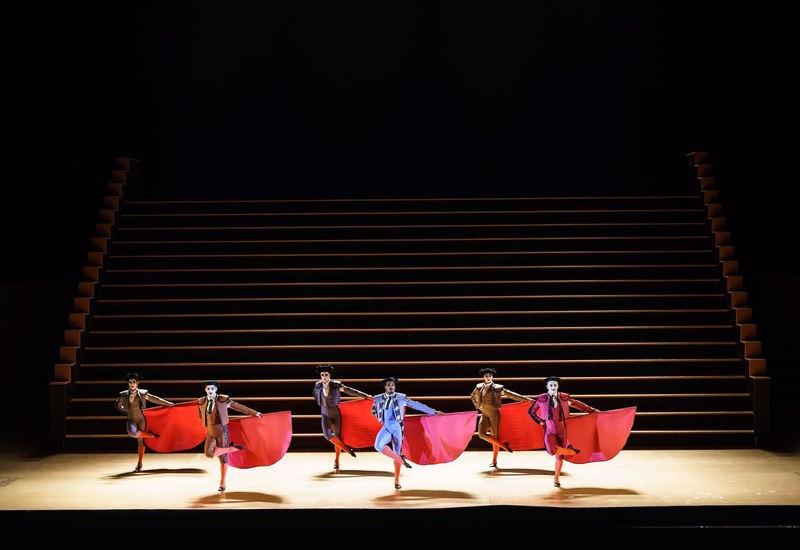 A melting-pot of movie, musical and pop culture references, this production of Carmen does a good job of refreshing and modernising the opera but feels at times that in attempting to be too accessible that it instead becomes unaccessible.